You will add many Cheats: Unlimited Starting Stat Points , Unlimited Starting Skill Points , Unlimited Movement , Unlimited Damage and many more. Hello! We are pleased to have you here on our website.This page shows the trainer and its user guide for ATOM RPG. If you have ideas to make this guide better, contact us now and we will be happy to post your material on this page thanking you for helping us. We have good news! For this game we also have some Tricks. 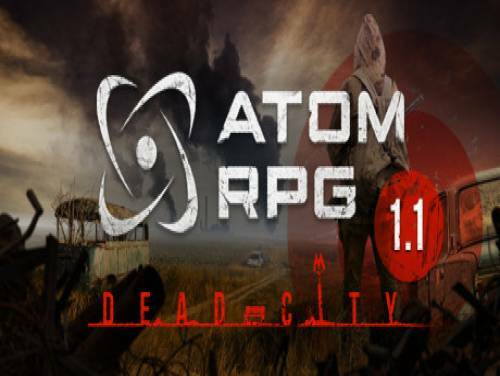 this page dedicated to the tricks of ATOM RPG you will find all the tricks, codes and unlockables that will surely improve your experience with this game. ATOM RPG is an indie game, post-apocalyptic, inspired by the classic RPG genre: Fallout, Wasteland, Deus Ex, Baldur's Gate and many others. And now, finally, the long-awaited trainer for this game: download it, and after reading the user guide, activate it and you can use all the tricks you promise while playing. The program you are about to download was not created by Apocanow. However, we have permission to publish and publicize by the authors of the Trainer ATOM RPG Trainer - v1.07 (01.20.2019). The contents of the file are virus free, even if sometimes they can trigger the AV as false positive. toggle this on and you can spend points without it decreasing. the use of options below. without running out of moves. then toggle this on so you can use the options below. allow the trainer to write larger values. based on your character level. that are heavy. As always the value in the trainer is editable.